Browse: Home / mithören is An extensible platform for wireless peripheral keystroke sniffing for microcomputers. 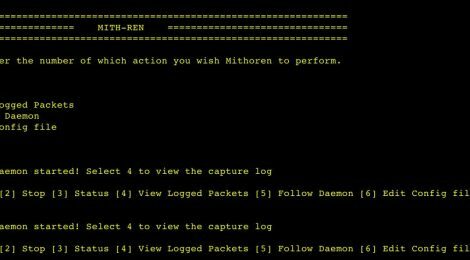 mithören is An extensible platform for wireless peripheral keystroke sniffing for microcomputers. The purpose of this project is to provide for simple, extensible, human-readable interfacing with wireless peripheral sniffing. 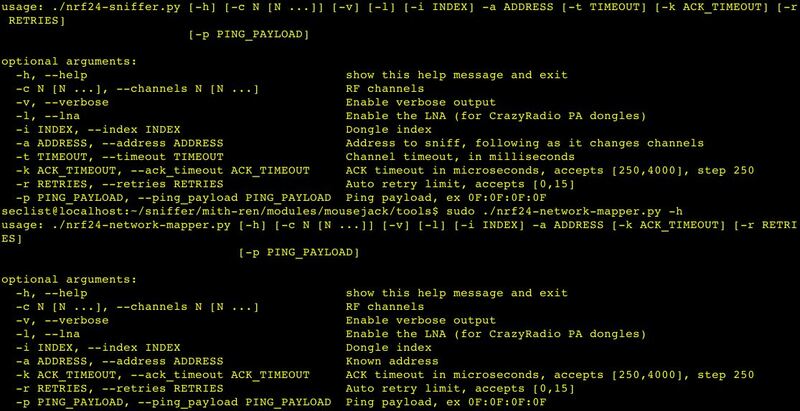 By combing a suite of existing tools into a simple set of commands, this platform makes penetration testing and device reconnaisance compact. Firmware and research tools for Nordic Semiconductor nRF24LU1+ based USB dongles and breakout boards. The following hardware has been tested and is known to work. + Flash a Logitech Unifying dongle back to the original firmware. ← dedsploit – a platform for network exploitation.